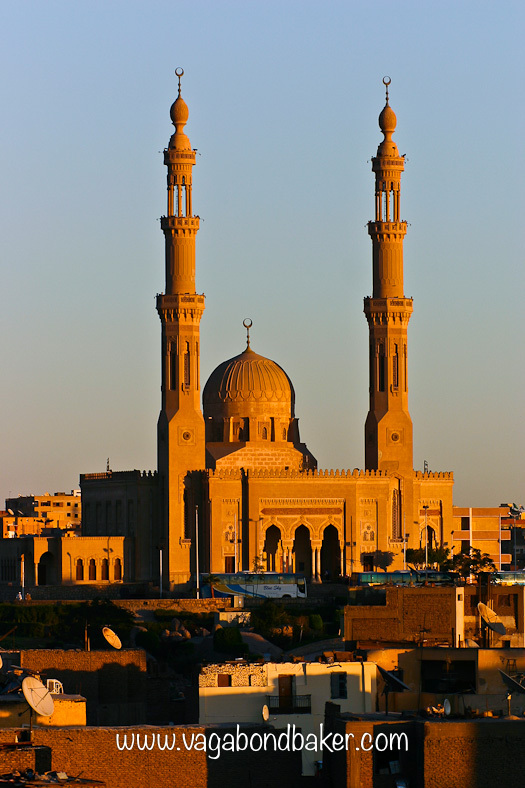 Later that evening we left Cairo, to return in a few days, and took the night train to Aswan…. 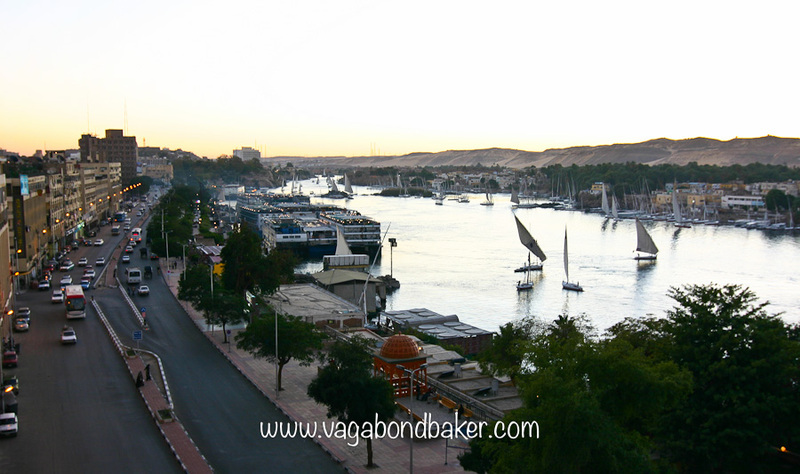 We arrived in Aswan and had booked into our hotel by midday. From our side balcony we could see the Nile and the felucca touts bothering the occasional tourists who were strolling along the Corniche. We spent the afternoon getting our bearings. 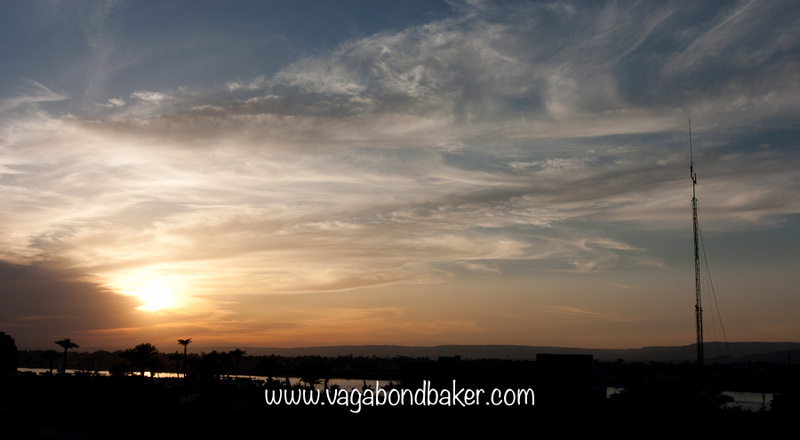 Next day we wanted to visit the Tombs of the Nobels over on the west bank of the Nile and the Botanical Garden. We got talked into a felucca, the idea of slowly sailing down the Nile sounded wonderful. Chris got to be rowed out to it as it was moored on a small island. Once we were boarded on the felucca and had set off we soon found out we had been conned as far the price was concerned, basically the cost doubled. The boat took us over to the west bank and the tombs but they weren’t that impressive. We decided we couldn’t afford to do the Botanic Garden as well so he agreed to sail us back to the hotel. Unfortunately this meant sailing upstream, with very little wind this took hours. The Botanic Garden looked lovely as we passed, which added to our disappointment of the trip. 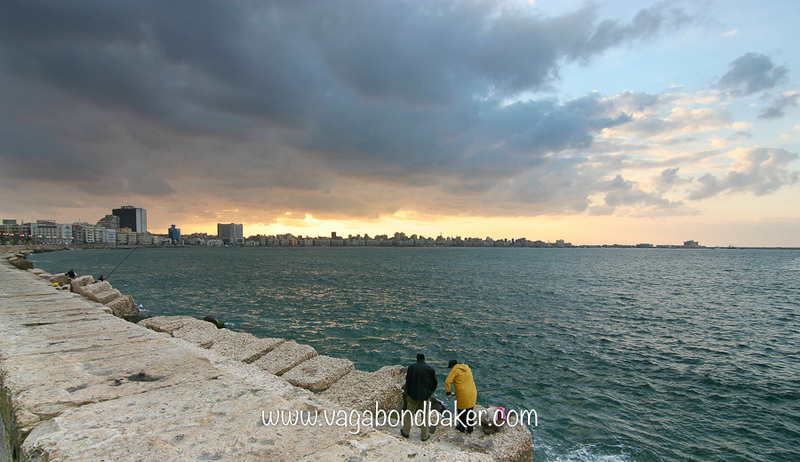 The felucca ended up costing us even more with baksheesh, blowing our daily budget. You win some, you lose some, but this marred our enjoyment of Aswan. The afternoon was spent exploring the tourist souk before finishing the day at a riverside restaurant for a below average meal. Walking back to the hotel, the atmosphere of the city was charged: Egypt were playing in the African Nations (soccer) cup final. Every shop and restaurant we passed were empty bar a group of men crowded around tv sets. It was very amusing, they took no heed of the passing trade. Egypt won the game, and Aswan went crazy! Cars were hooting, boats sounded their horns, police cars turned on their sirens, all in celebration. The town was singing and chanting, this went on for hours and hours! We had to be up at 3am as we were booked on a tour. I miraculously fell asleep, with ear pugs. The tour had us squeezed into a minibus, collecting guests from other hotels too, joining the touring convoy down to Abu Simbel. 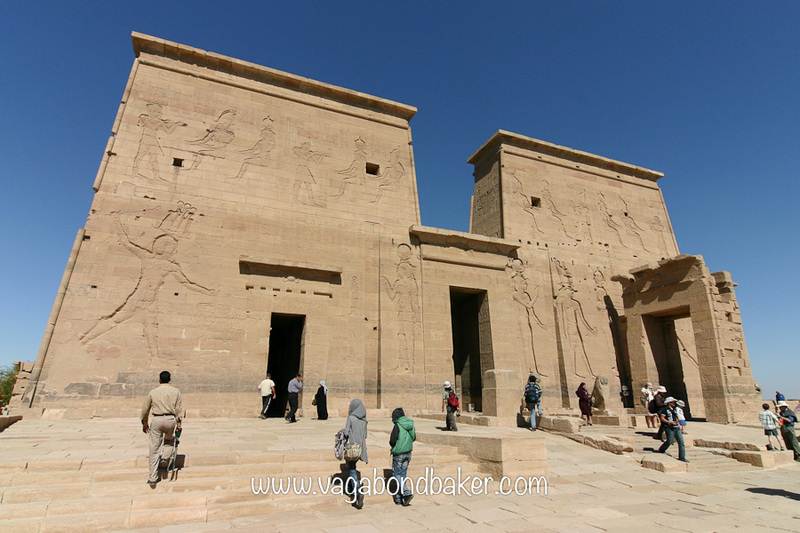 This great temple had been relocated before the creation of Lake Nasser, it was magnificent. 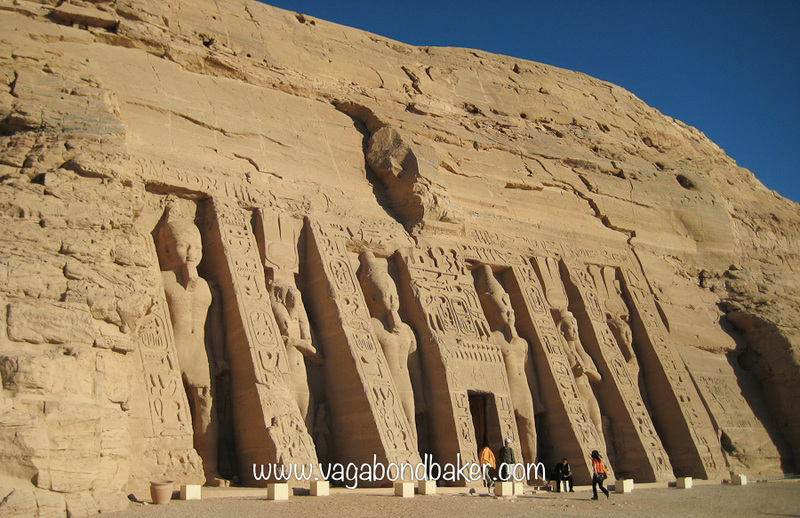 The four colossal statues of Ramses II fronting the temple towered over us and the interior was beautifully painted and carved. 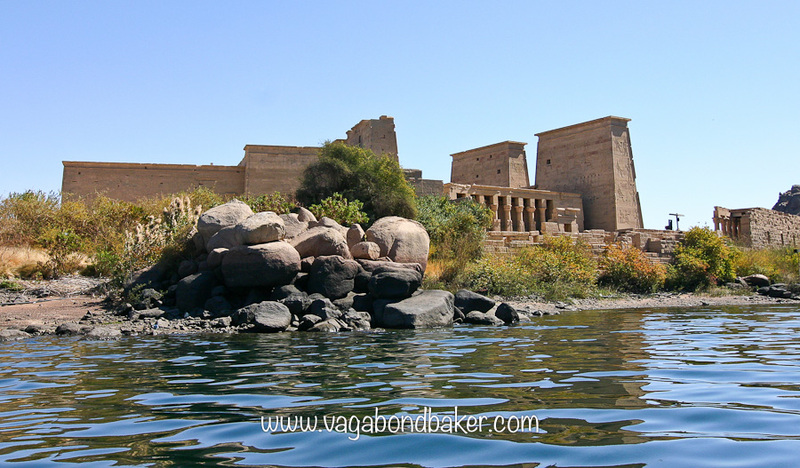 Our tour continued to the Temple of Philae, with a quick stop at the lake Nasser Dam. The temple had also been relocated, this time onto an island. We had to negotiate a boat to transport us over to it. Our minibus group stuck together and we bargained our crossing. The Temple of Philae is so picturesque, especially as you approach it across the water. 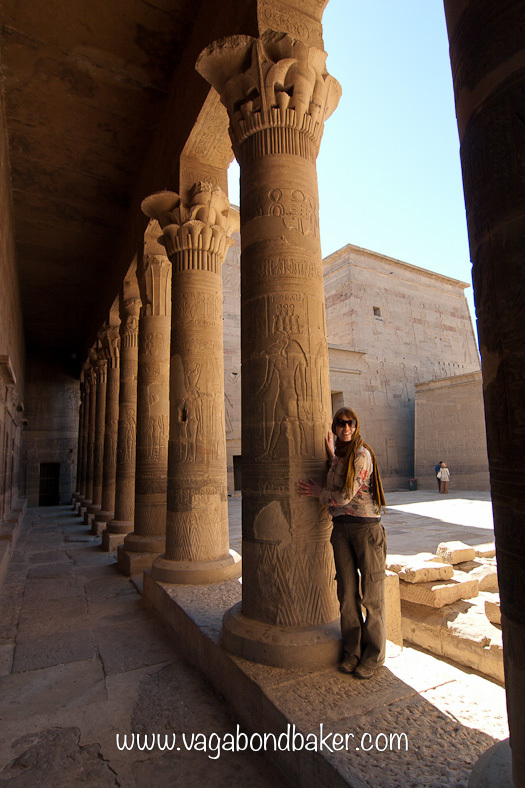 It was built around the 4th Century BCE and dedicated to Isis, she had found the heart of her slain brother Osiris on the now submerged island of Philae. It was beautifully carved, especially the flower design column tops. The last location on the tour was an ancient granite quarry. In it lies an enormous, 42 metre obelisk, partially cut out of the rock. 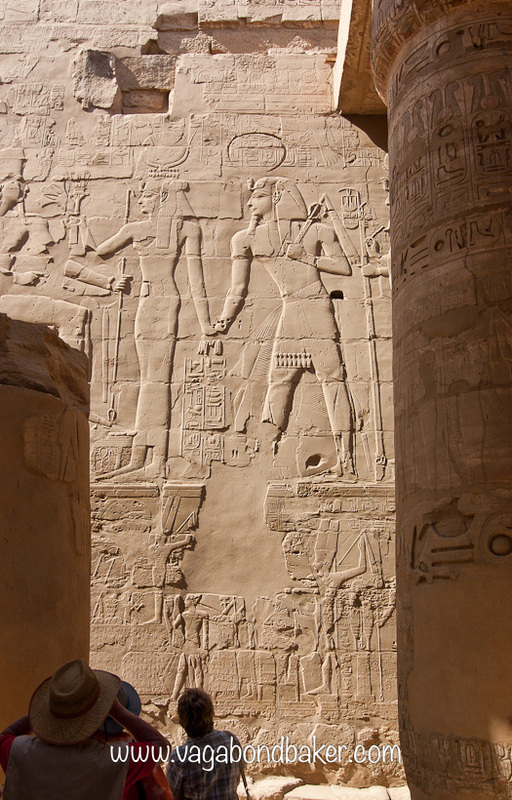 It had been abandoned by the ancient Egyptians who were removing it after they found a flaw. The quarry was fascinating, there were many voids in the rock where obelisks and columns had been removed and now stand in temples, cities and museums all over the world, like Cleopatra’s Needle in London – which came from this very quarry and is one of a pair, the other stands in Central Park, NY. 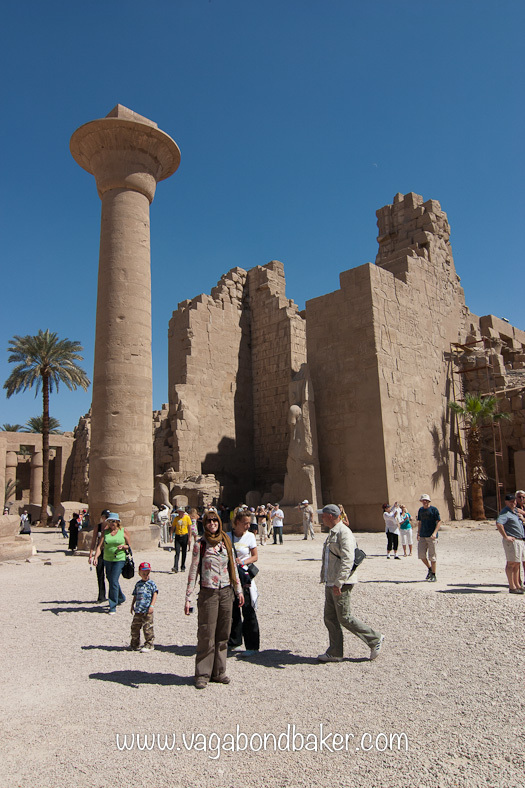 We took the morning train to Luxor and checked into the Hotel Nefertiti which was budget gorgeous. We had a cute room with a little balcony overlooking a narrow, totally Egyptian street. The roof terrace had sun-loungers and seats and looked out over Luxor Temple and the Nile over to west bank and the funerary temple of Hatshepsut. This turned out to be a great place to meet fellow travellers, we had some fascinating conversions up on that terrace watching the sun set over the Nile, beers in hand. 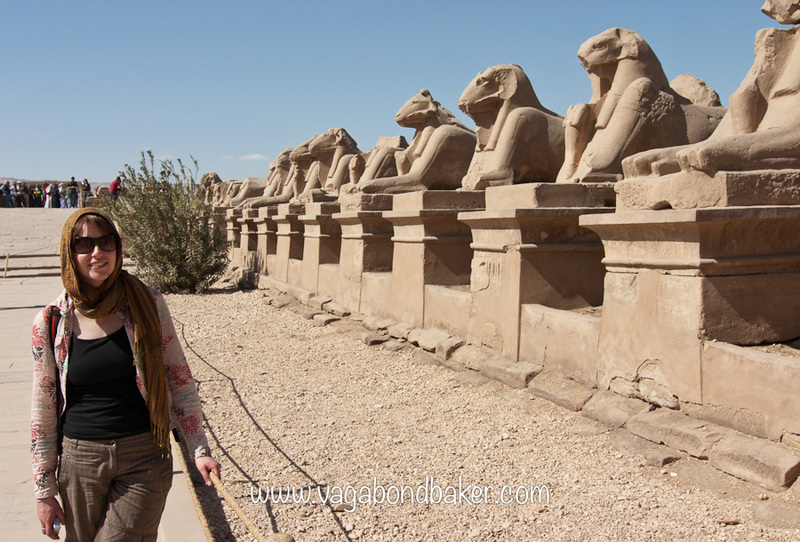 It was a kilometre walk along the corniche to Karnak Temple. 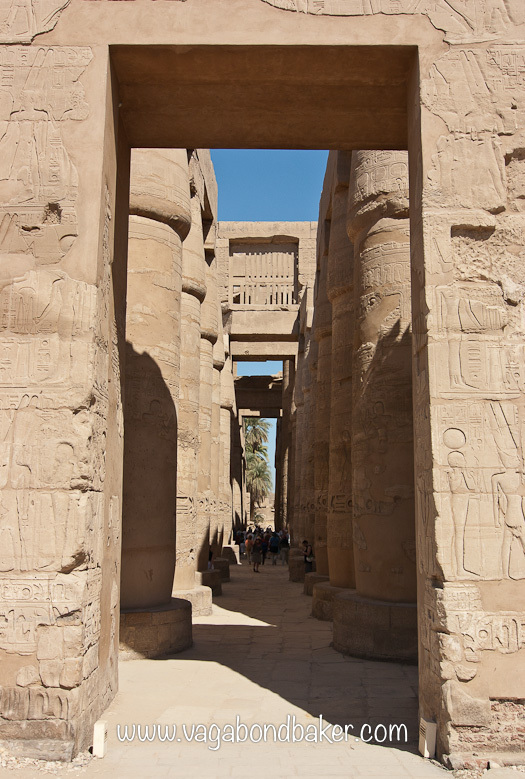 This vast temple was superb to explore, the great hypostyle hall with its magnificent hiroglyphed columns was spectacular. 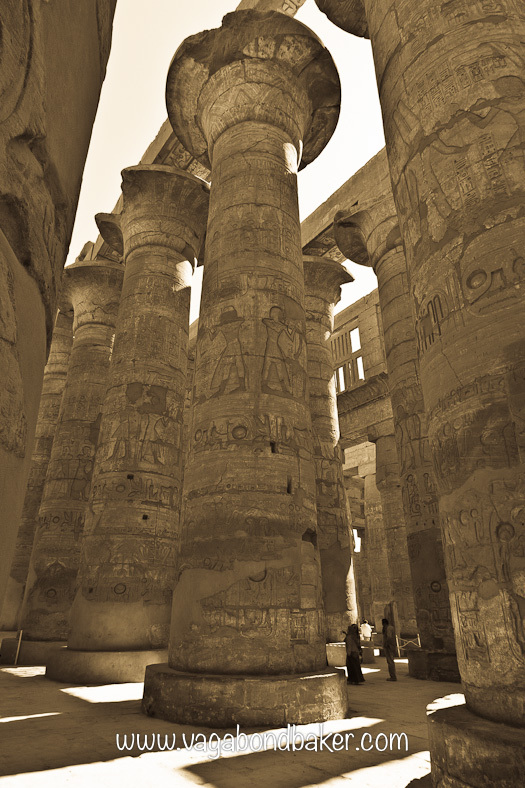 We spent a few hours wandering around the temples and obelisks, taking it all in. We booked a tour through the hotel to visit the west bank and our tour guide, Aladin, was brilliant and so informative. 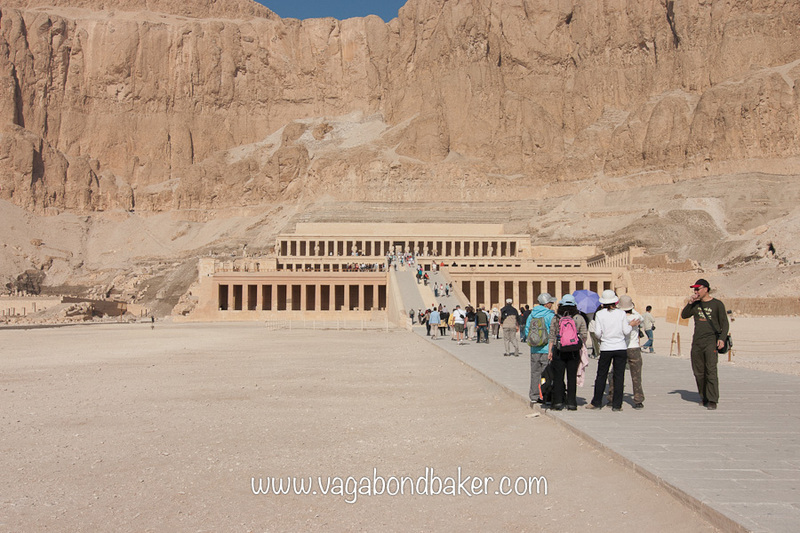 The funerary temple of Hatshepsut was our first location. This was a three floored building that was built for the embalming of the Queen Hatshepsut, this would have taken seventy days. It had wonderful art and depicted trade with Somalia to the south. Many of the images of the queen had been defaced by Hapshetsut’s successor Thutmosis III. 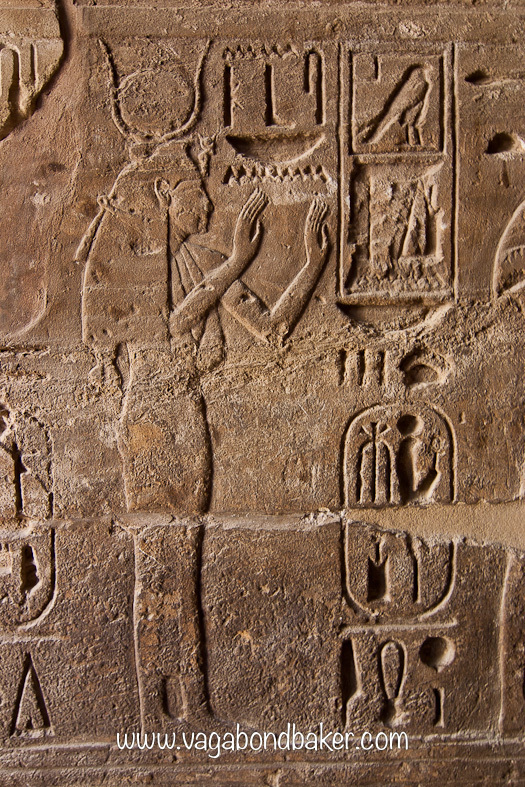 She is one of only two Queens buried in the Valley of the Kings, this is because she was a Pharaoh. 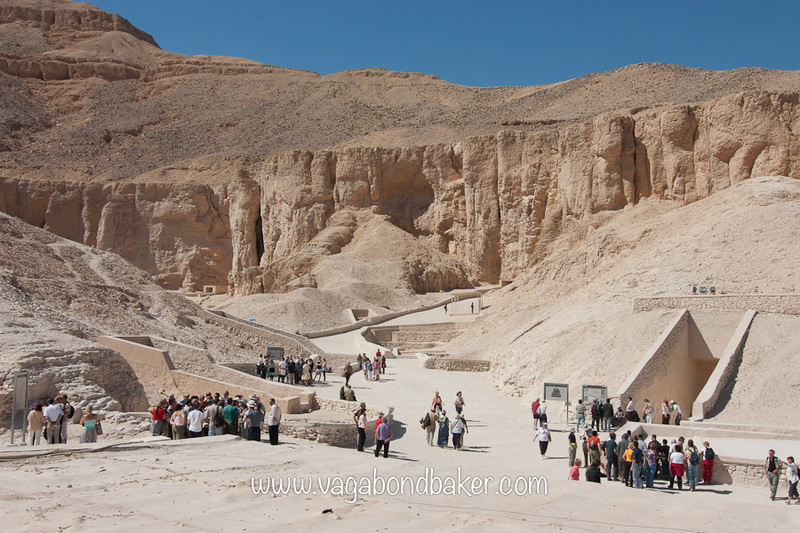 Next was the Valley of the Kings, we visited three tombs- Ramses I, III and IV. 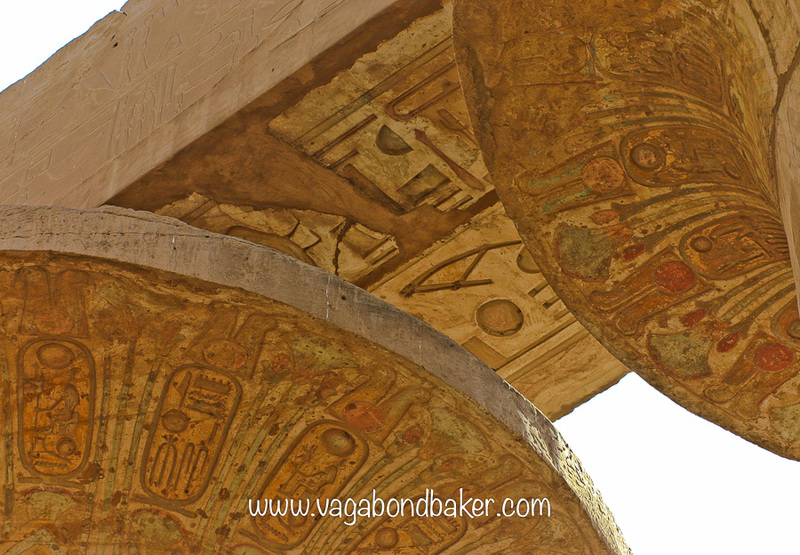 They were all amazing and wonderfully decorated, so colourful even after thousands of years. Then came the icing on the cake, the Tomb of King Tutankhamun. The tomb was quite plain compared to the others but contained his actual mummy as a temporary exhibit. This was incredible, we were face to face with this most famous of historical figures, and he was so tiny! His head looked rather odd, we learned that royal babies had rocks strapped to their scalps to promote the features of royalty. We then visited two tombs in the Valley of the Queens. This was quieter, fewer tourists. The tour concluded with a boat back across the Nile. The ancient Egyptians only ever lived on the east bank, the west back was reserved for tombs at this is where the sun set, representing death. That evening we were introduced to Sahlab, a delicious hot drink made with milk, semolina powder to thicken and vanilla with sesame seeds sprinkled on top (or nuts). It is traditionally thickened using the powdered root of a particular orchid but I guess cheaper products are used these days. It was like a dreamy custard drink, perfect before bed. The following day was Valentines, and many Luxor locals reminded us that it was! We visited Luxor museum, it was really well laid out and had good labels. On display was the mummy of Ramses I, the mummy had been found in the 1800s and sold to a curiosity museum in Niagara. It was then sold on to an American and some Egyptologists matched the face and skull to Seti I and another relative of Ramses. They realised it was a royal mummy and Ramses I made his way back to Luxor. That night we took the (expensive) sleeper train back to Cairo. We had our own little two berth compartment and were provided with a meal, although it was meat, with more meat on the side. We were woken for breakfast at 4.30 am the following morning and pulled into Cairo at 6.30. On arriving at the station we immediately booked day return tickets to Alexandria then stored our luggage back at African House Hostel. The hostel manager was thrilled to see ‘Mr Chris’ again and promised us a room upgrade for the night. The train to Alex took two and a half hours, the scenery changed as we followed the Nile to the Mediterranean, trees and lush fields. It was overcast and cool in Alex, we visited the National Museum but it wasn’t as good at the Cairo or Luxor museums. We had lunch followed by a few coffees, and some patisserie, in a couple of coffee bars before having a look around the library. The modern Bibliotheca Alexandrina was built to house two million books, it certainly didn’t contain that many though. There was an excellent display of old photos of Alexandria as well as a collections of ancient books and manuscripts. We caught the evening train back to Cairo, absolutely exhausted. Our last day in the Middle East was spent catching up on emails and such. We had Koshary from Koshary Sayed Hanafy for the last time and followed it up with a much appreciated G & T in the old colonial bar of the Windsor Hotel. 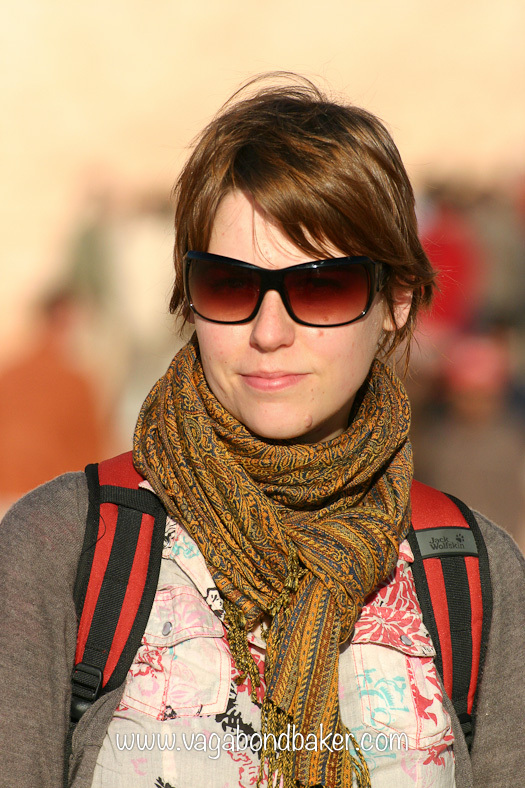 That night we departed Egypt and flew to India, ending our overland trip through the Levant. It had been a wonderful, rich adventure. 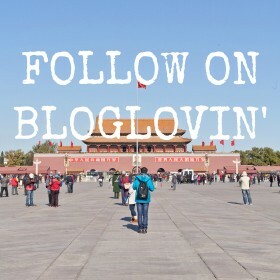 The food, the people, the history and the scenery I will never forget. Another wonderful post! Dreeeaaaaming of visiting the pyramids now, more than ever. 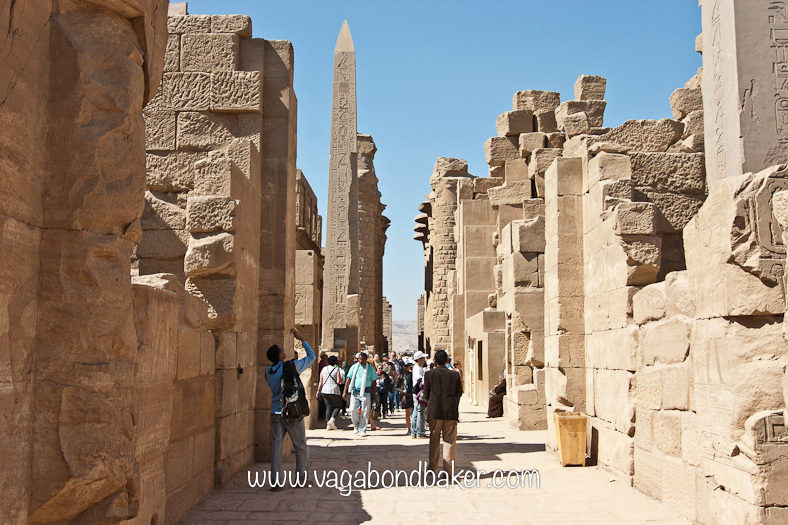 Hope life will calm down for the sake of Egyptian people now and for the travelers who want to visit. 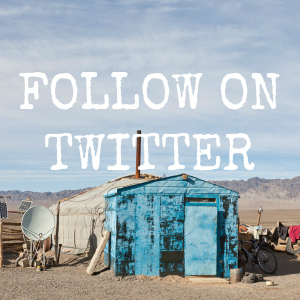 On your middle east trip did you stay in hostels mostly? Or was it hotels? 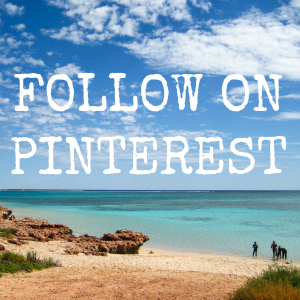 What about on your new trip this year? Hostels? Hotels? Looking back, are you happy you went to the middle east in winter? 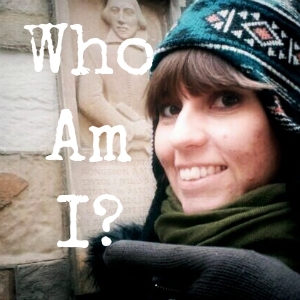 What do you see as pros and cons of visiting the countries you did in winter? 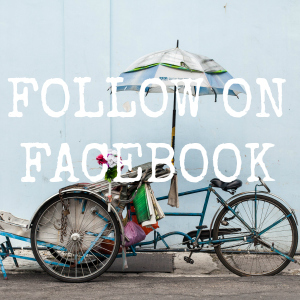 Thanks for the great postings!